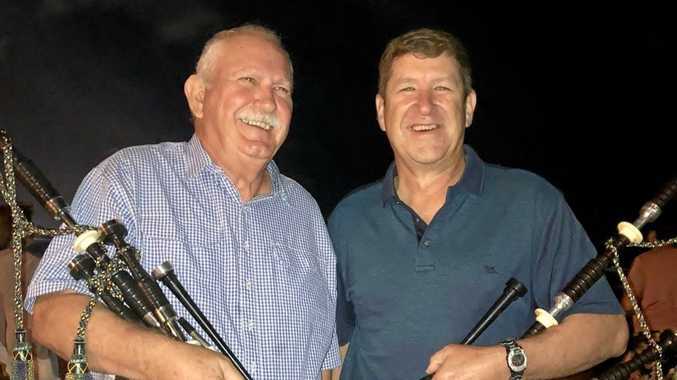 BURLEIGH residents were surprised on New Year's Eve by a quartet of bagpipers from the Warwick Thistle Pipe Band sharing traditional tunes by the beach to ring in 2019. The sounds of Amazing Grace, Scotland the Brave, The Green Hills of Tyrol, The Battle's O'er and, of course, Auld Lang Syne attracted a large and appreciative crowd, originally gathered to watch the 8pm fireworks across the water at Broadbeach. It was a bit of a battle with the nightclub music from the new Burleigh Pavilion, which gave rise to a large number of official noise complaints, as well as criticisms of the amount of broken glass and other rubbish left around the surrounding beach and rocks. However, Pavilion general manager John Forest said New Year's Eve and New Year's Day were exceptional days that had every venue on the Coast buzzing. The Gold Coast Bulletin reported that 10,000 people had visited the beachfront venue in less than its first two weeks of operation. But whatever the furore over the Pavilion, the pipers - combining the talents of 67-year-old Bill Stuart, Dugald MacFarlane, son Rory and Rosalie Mauch, both from Scots College, Warwick - earned cheers and applause for their efforts. Bill first started playing the bagpipes at about 13, back in 1965, when his mum came up with the plan of getting him to learn an instrument his dad, a very good pianist and musician but a perfectionist, didn't know how to play. He gave it away for about 45 years until his son asked Bill to play at his wedding six years ago. "So, I played - not very well I must admit - but it sparked my interest again," Bill said. 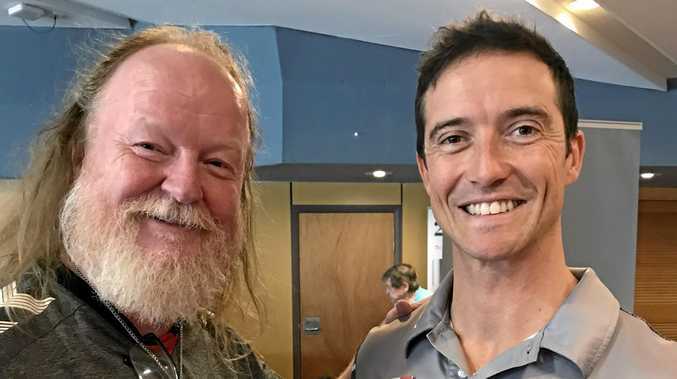 He takes weekly lessons via Skype from a teacher in New Zealand, and enjoys both the camaraderie of playing with the Thistle Pipe Band and competing individually. He sees playing the bagpipes as every bit as competitive as any sport, involving training, team work, stamina, breathing control and constant thinking. "The hardest part is learning new tunes because you don't have the music in front of you when you play, so you have to memorise them completely - that's part of the drive for me, to keep the brain active," Bill said. With some of the older traditional tunes lasting up to 20 minutes, that's no mean feat. "There's nothing makes you feel so naked as standing up there in front of a judge to play solo - you bear your soul," he laughed. And if you're wondering how much call there is these days for bagpipes, you would be surprised. Bill said youngsters are taking up the instrument, and the Thistles last year averaged a function every fortnight. So it wasn't lack of an audience that brought Bill and his mates out on New Year's Eve. Bill has been playing at Burleigh as part of his holiday fun for three years now, and has been joined for the past two years by the MacFarlane and Mauch families, who unexpectedly heard him playing the first year, while likewise holidaying from Warwick. "It's a bit of a tradition now, and we all enjoy it," Bill said.